My dashboard shows that people are still checking in, so I guess I will too. Hmmm. Last post mid-August. I had a birthday, and went sea kayaking with some friends. It was great, not so hard to just go. We went to an art show first, then we then had a wonderful chowder for dinner. Can’t think of a better way to spend a birthday. 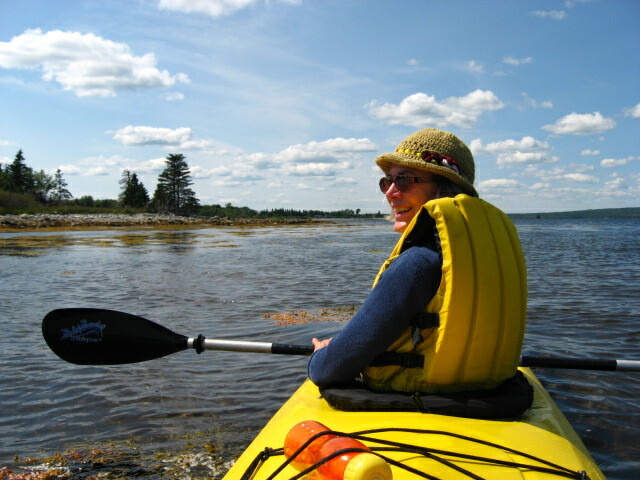 We had a few days last week of very hot weather – broke records for Nova Scotia, up in the 30’s. It was 36 degrees in the booth down on the wharf, hard to stay hydrated. 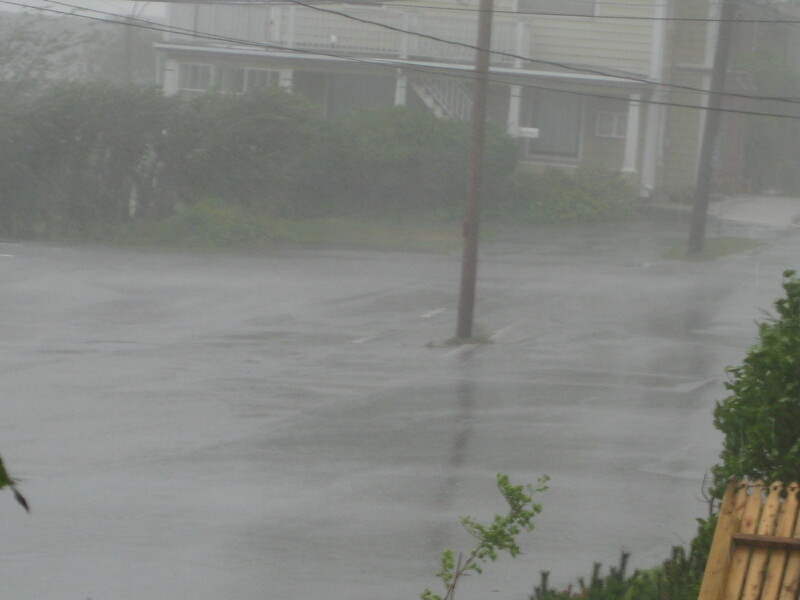 But today, we had Hurricane Earl. Wowweee. Started about 9:30 this morning with rain and wind, and by 11:30 the eye was passing over us. It made landfall about 80 km down the coast. 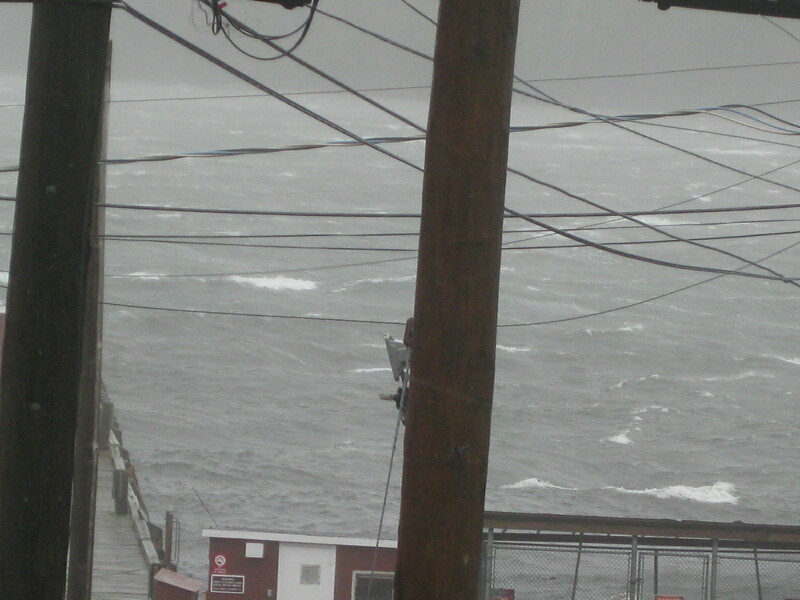 The wind, and noise was incredible, whipping the rain sideways, waves in the harbour washing over the pier in front of my house. It then was still and sunny for about an hour, until the other side of the storm began to move through, then the wind changed direction, and howled for another few hours. It is just now beginning to calm, seven hours later. I was ready though. I have to laugh because all the years in California, I never really did get an emergency kit together, but here I had water on hand, cooked some chicken last night in case the power went out – only did for about an hour today – made extra coffee to put into a thermos this morning, had batteries for the radio, etc. And didn’t really need any of it. But I did bring in all the planters from the porch with the dead geraniums from last year! The porch looks much neater now.